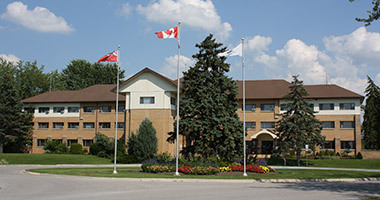 The Town of Georgina’s Municipal Law Enforcement Office oversees the compliance with the Town of Georgina’s Parking By-law. Fire routes are designated to help fire and emergency crews access buildings quickly in the event of an emergency. Blocking these routes for even a few minutes to pick someone up or drop someone off can impede emergency access. The fine for this parking infraction is $100.00. Public parking areas are required to provide designated accessible parking spaces to allow people with disabilities to have close access to their destination and also allow more space to maneuver wheelchair and equipment. Only vehicles displaying a valid accessible parking permit are allowed to park in these spaces. The fine for this parking infraction is $300.00. No vehicle can be parked on any street in the Town of Georgina for more than 3 hours unless otherwise posted. Parking on any road or roadway under the authority of the Town of Georgina from November 15th to April 15th between the hours of 2:00 a.m. and 7:00 a.m. (unless otherwise posted) is prohibited. No vehicle can be parked on or over any portion of a sidewalk or footpath. No vehicle can be parked on the paved boulevard section of the driveway with vehicle overhanging any portion of the road. It should also be understood that certain types of parking violations are enforced on a proactive basis, while others are only enforced on a complaint basis.